Click on the name of the dog or the picture to be taken to their own page. Incavale Caylpso Storm - "STORM"
1. PERSONALITY: A Fun-loving dog, the GSD is a devoted and loyal canine which serves as a perfect companion and pet if socialised correctly and treated as one of the family. It thrives on daily physical and mental Stimulation and will cherish its family above all else. 2. FAVOURITE ACTIVITIES: A supreme athlete, excelling at all dog sports. It enjoys daily interaction with its family and will love a regular game of fetch with the kids. It needs to be taken in as one of the family pack. It has a sharp mind and astute outlook, and will thrive with appropraite and regular physical challenges and mental stimulation. 3. WATCHDOG QUALITIES: The GSD is renowned for its remarkable guarding instincts and is used in many law enforcement roles due to its talents in this area. However, breeders emphasise that this dog should not be brought up to simply to serve as a guard dog! 4. SUITABLE FOR: Families as well as singles will enjoy the company of this breed. As long as its guardians have the time to provide regular exercise and companionship, the GSD will prove to be a loving family memeber. 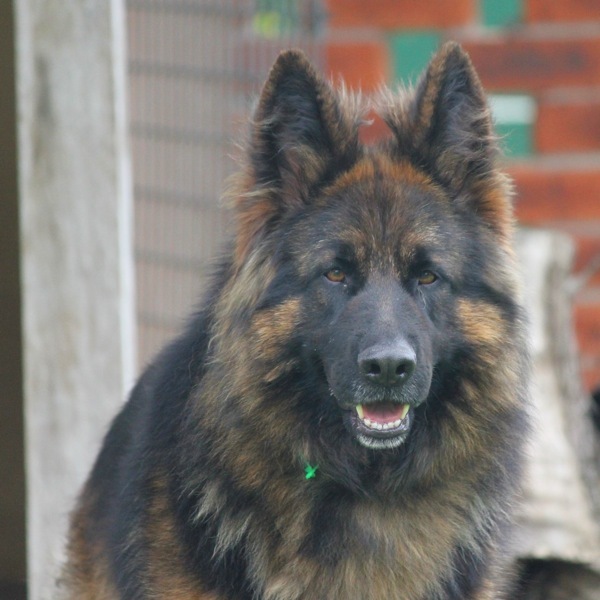 The GSD is a strong, clever dog that will need regular training and daily exercise and attention. 5. HEREDITARY DISEASES: Deal with a reputable breeders to avoid buying a dog with potential problems. COnditions to be aware of in this breed are hip and elbow dysplasia and haemophilia.